The apps best at holding onto their users long-term are, perhaps surprisingly, some of the older names in the game: OkCupid in the number one spot, followed by Plenty of Fish. Ogury looked at topics like the days and times different apps are most used, and which apps are most popular by country. 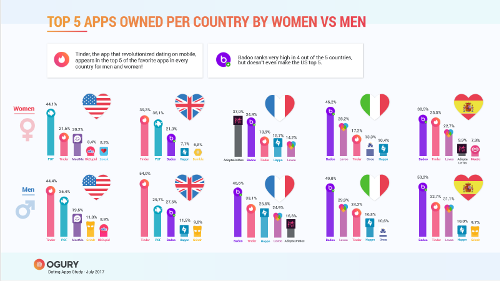 Tinder appeared in the top five favorite apps in every country for both men and women, though not always in first place. Plenty of Fish was a strong contender in the US and the UK, while Badoo ranked highly everywhere but the United States. Thursday proved to be the busiest day on dating apps across every country studied. 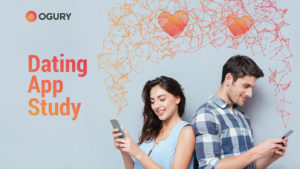 Singles spend an average of 27 minutes and 32 seconds matching and messaging on Thursdays, presumably in attempt to score a date or two for the weekend.